I don't think anyone is saying "storm cancel". I think in the early going we have had a pattern of models showing something big ("That could flood the entire West Bank!") and then ultimately nothing happens because these are just that.....models. I refer everyone to Zack's article on the home page where he states that anything shown by the models beyond 5 days is just throwing darts. Personally, I'm glad we have nothing big to track; I'm not a big fan of destruction, peril, and death by hurricane. 12z GFS continues to shred 99L as it moves WNW. Change from previous Euro runs is that shear looks pretty darn favorable once this is in the vicinity of Hispaniola and Cuba and beyond into the Gulf. Dry air and land entanglement probably preventing development there this run but will need to keep an eye on this. You can track the vorticity all the way into the gulf on the 12z Euro but it really never does much with it. This is the system the US has to watch if it develops and tracks north of south of the Greater Antilles. The Bermuda ridge will take its usual position in a week or so through the following week creating a weakness across the SE US or gulf coast. By 'usual position' do you mean by Burmuda? Or Florida? Through 102 Hours on the 18z GFS, not much going on with 99L. 18z GFS is still bringing what's left over of 99L into the Gulf, but not showing development once there. Thank you. I truly appreciate that statement. Still no support on the 12z GFS. 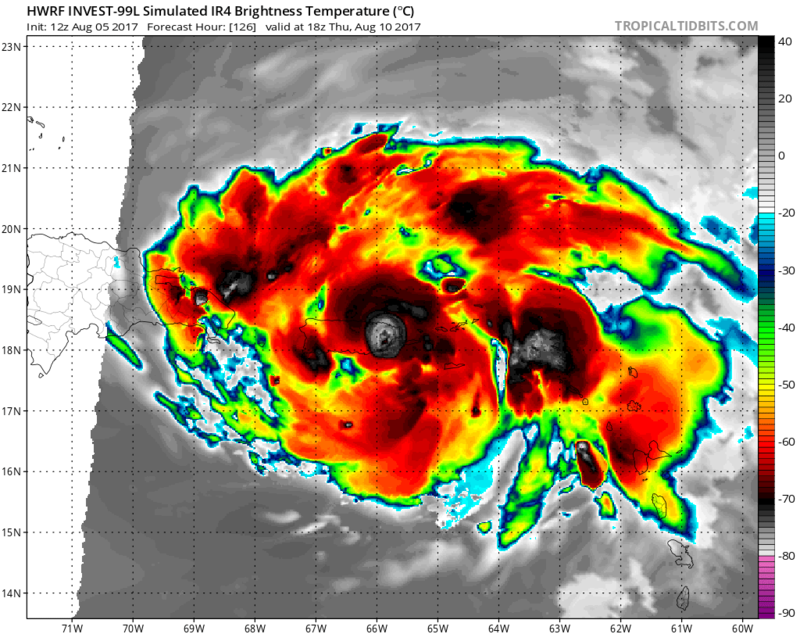 The NHC finally lowers 99L to a lemon. No 18z tropical models were run today either.